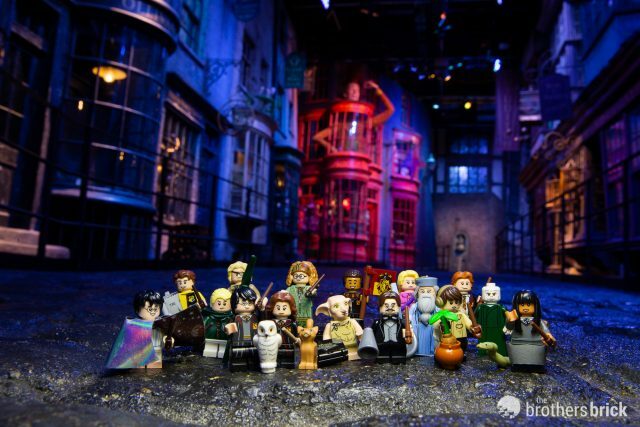 LEGO took the minifigure wizarding crew on a tour of Warner Brothers Studios in London, making them feel right at home on the sets from the Harry Potter films. 16 of the characters hail from the original Harry Potter films, mirroring their on-screen counterparts. 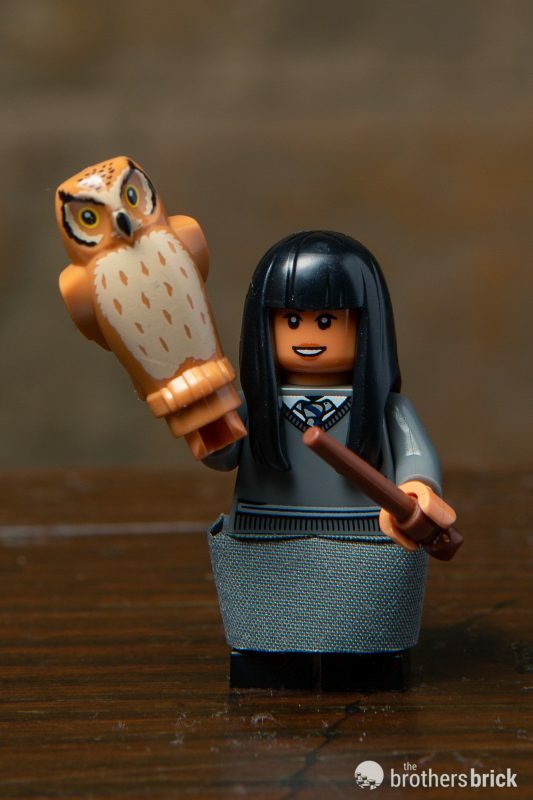 There are lots of new elements, from the mandrake to Dumbledore’s beard, and we’ll be bringing you a hands-on review of every character before they hit store shelves. 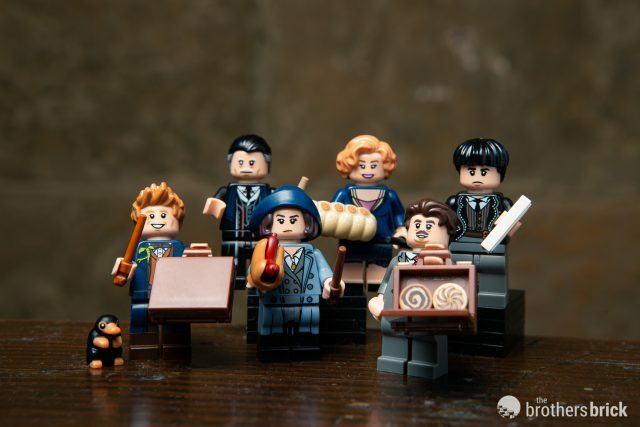 The final six characters comprise the main cast of Fantastic Beasts and Where To Find Them. There are several new elements here also, including a new bread element and a nifty new suitcase. Let us know in the comments how you feel about this new series, which characters are your most and least favorite, and what you’d love to see in our review. These look great, and I will doubtlessly spend too much money on them. I REALLY appreciate that the torsos don’t have a lot of “flesh” colored skin printed on them, meaning they will look just as good with regular yellow minifigures! 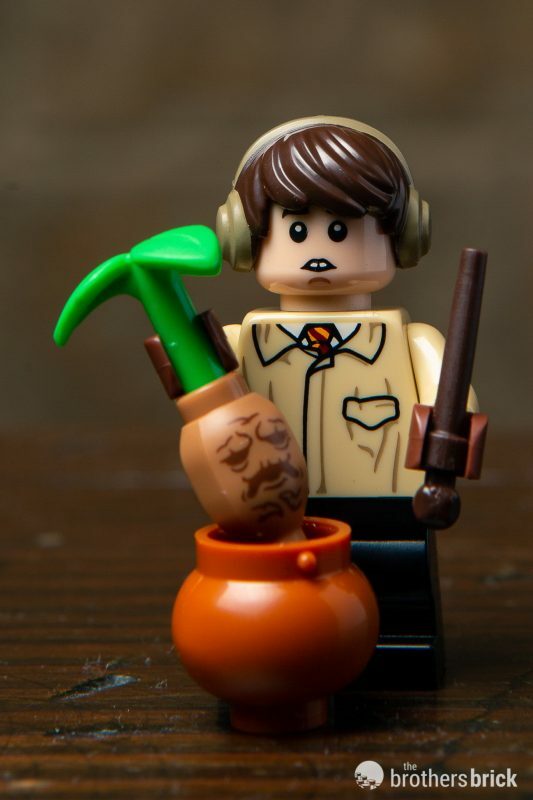 Nice new leaves element attached to the Mandrake root! 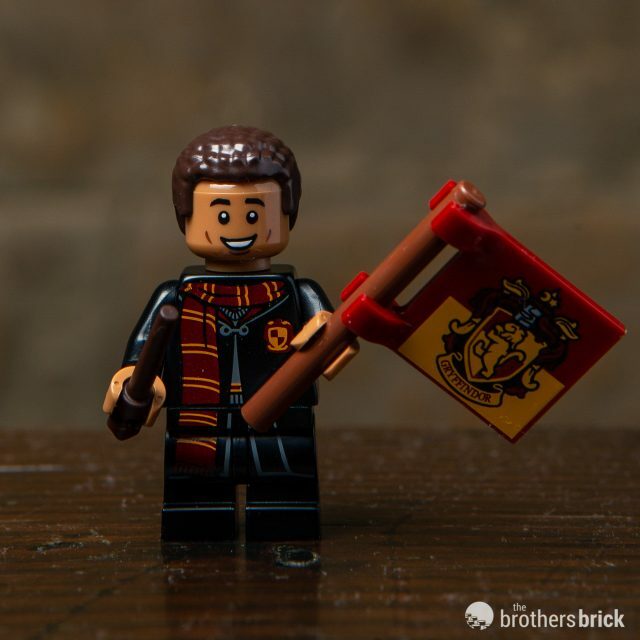 Not a big Harry Potter fan, but some of those outfits and elements are awesome. And I love that little mole creature! 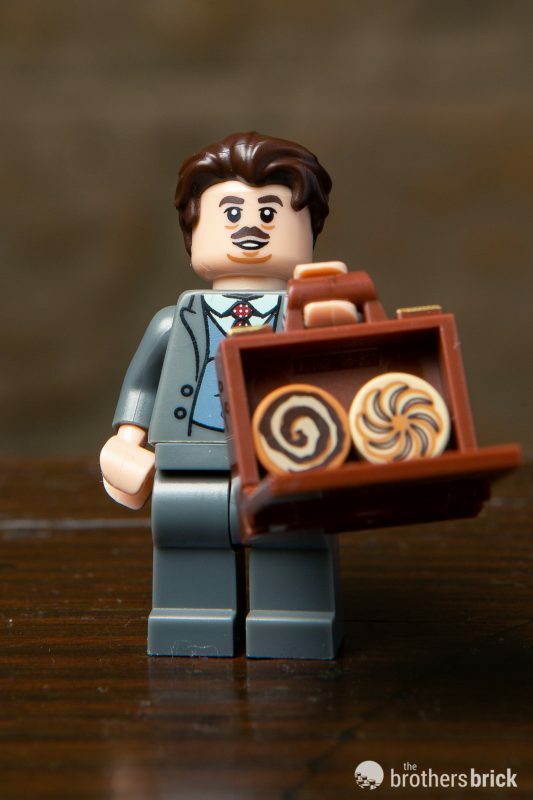 Lego may have gone overboard with all the new custom hair pieces, but I’m definitely glad to see (finally) movable short legs! @Rachel, that’s not a mole, it’s a niffler. A magical creature that can find gold enywhere. I also love this series and I want to know how much it will cost to buy a box of them! 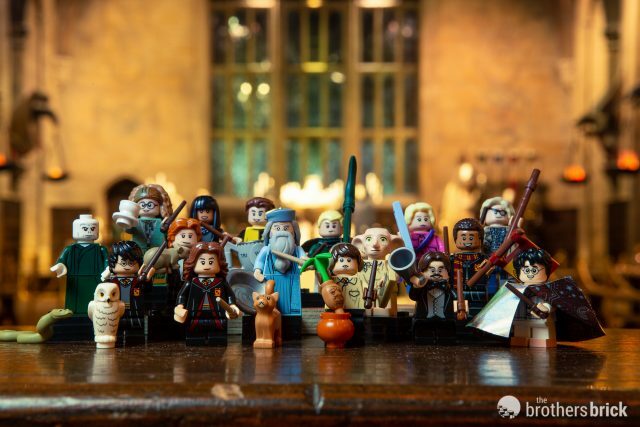 The inclusion of Neville w/mandrake, a new Trelawney, and a niffler is great. 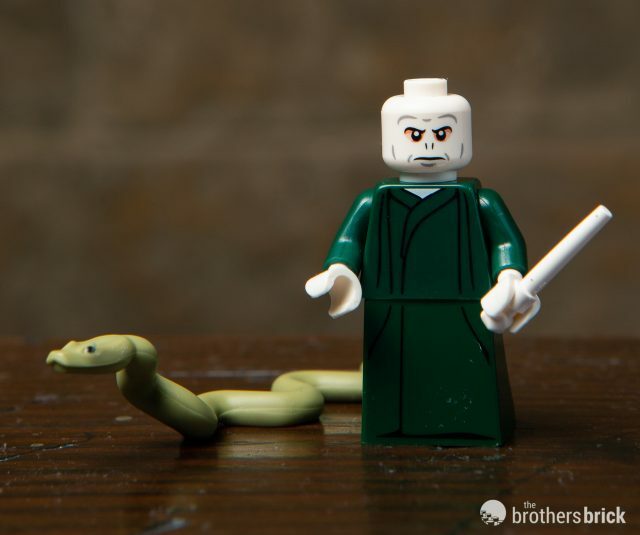 There are some excellent new prints/elements, but I have to say I am pretty disappointed that we are not getting a new Death Eater. 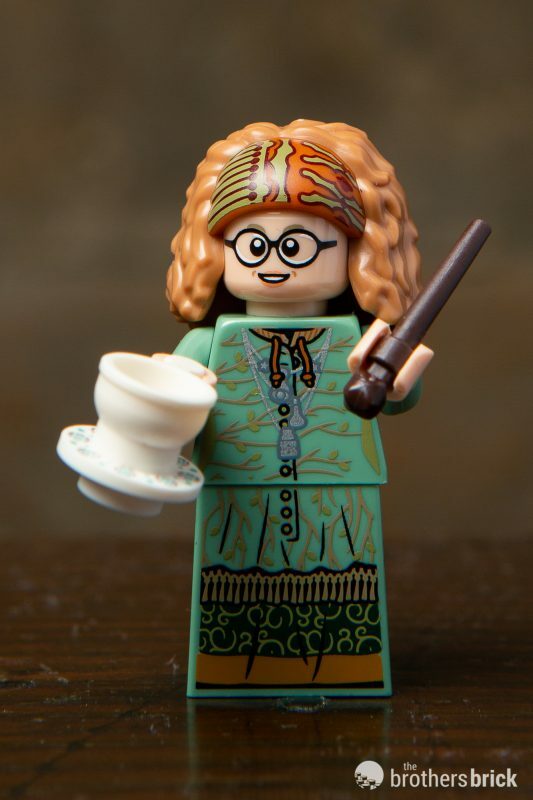 My favourite Trelawney, hands down. 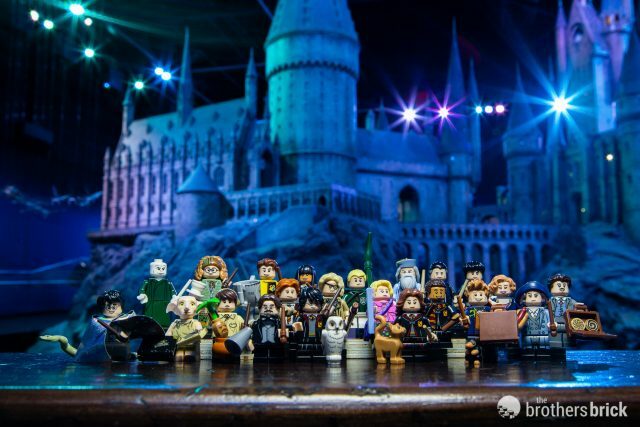 Dumbledore, Flitwick and Queenie too are on my list. 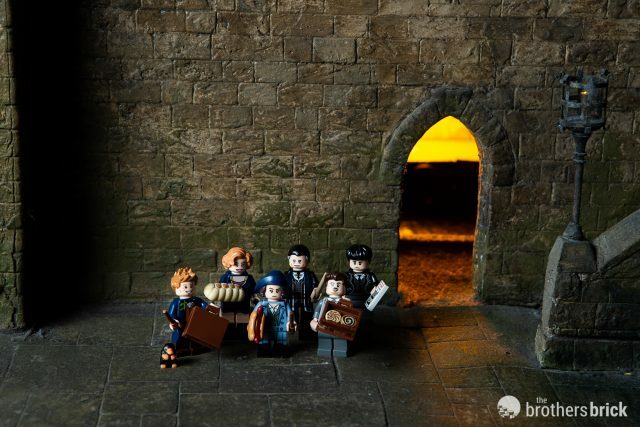 I like how Harry, Ron and Hermione has different uniform torsos. All of their uniform and Dean’s too, is beautiful. Draco though, with his quidditch torso is my least favourite because it doesn’t continue down to the leg assembly. Love them but not loving the “skirts on Luna and Cho” Those could have been printed vs fabric but still cool. 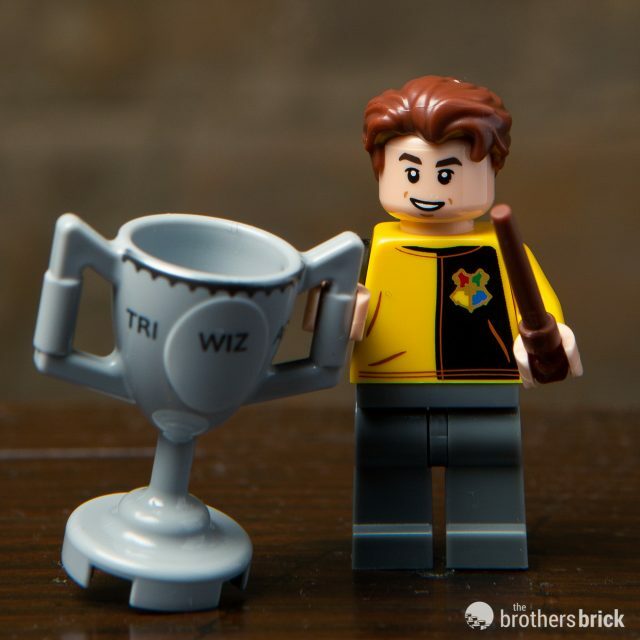 Oooh… I guarantee the most significant new element pictured in this entire wave is the legs on the main three in school robes, Dean, and possibly Neville (can’t say with 100% certainty because his legs are hidden behind the honeypot). See if you can figure out why. 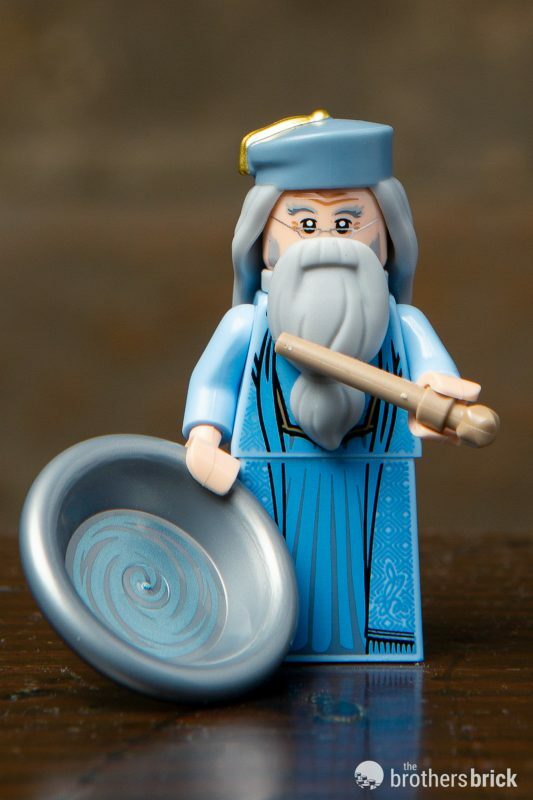 Is it true that we will see the first articulated mini legs in this serie (I mean the part used for the legs of children or dwarves but now with the legs moving)? If so it is a real good new and another great progress and step in minifig design. Thank you . Articulated mini legs? 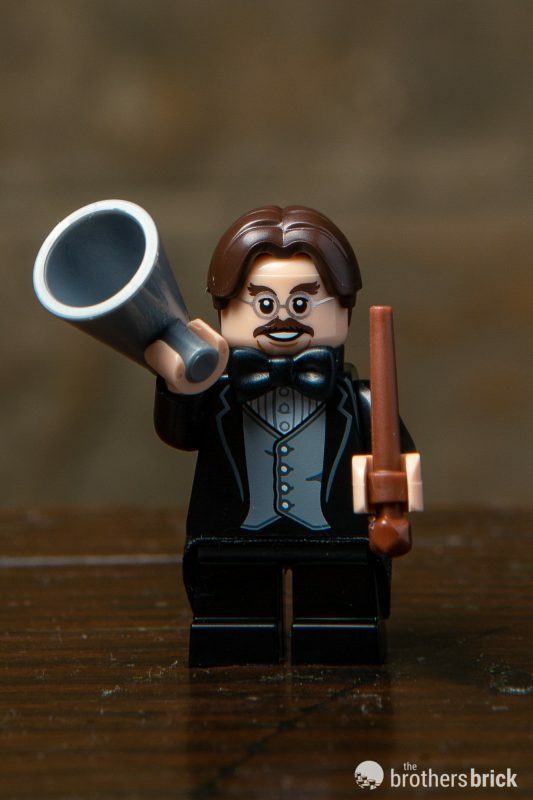 If so it is a good new and a big step in the history of minifigs design. Interesting. I know there has been third parties supplying articulated mini legs earlier. The new articulated short (medium, rather) legs are pretty obvious from the photos above. Such great news! So consensus across various sites is that the new articulated “midi-legs” split the difference between the height of the standard legs and the non-articulated short legs. Since the regular legs are five plates tall, and the short legs are three, this would fall right at four plates height. If you look at the individual pics, it is patently clear that the ratio between the height of the gap between the actual legs vs the vertical portion of the hips is very different. The gap between the toes is actually taller than the gap above the toes but below the hinged section. The total height of the gap, however, does appear to match that of the gap on the short legs, but where the short legs have only about 1/2 plate height at the crotch, these have the full barrel hinge like the standard and tall legs (hey, get your mind out of the gutter). I have several of the Brickfortress articulated short legs, and these look very different because there’s almost no shin on the BF legs. 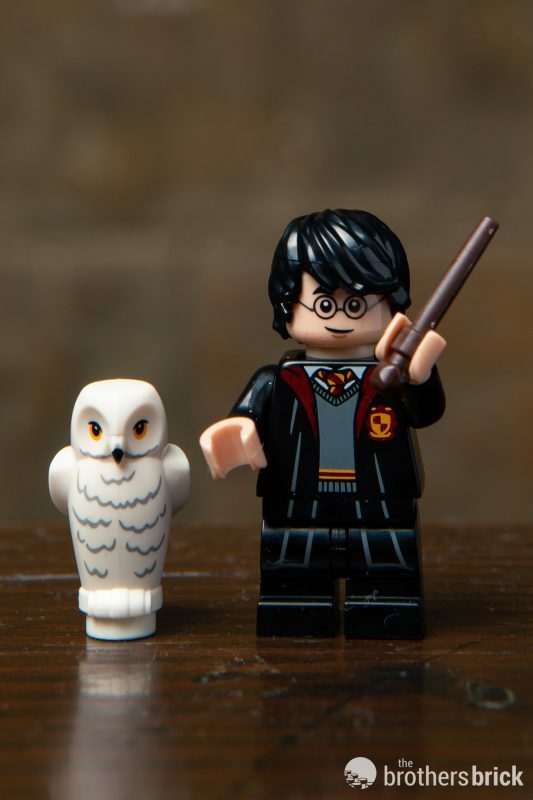 It’s definitely a new leg design, and of critical significance for the HP theme it will allow them to show the growth from young kids to adult-sized teenagers that’s evident in the movies. Great new parts all around, but too bad they’ll likely be the same loose/inferior-feeling plastic as other CMFs. 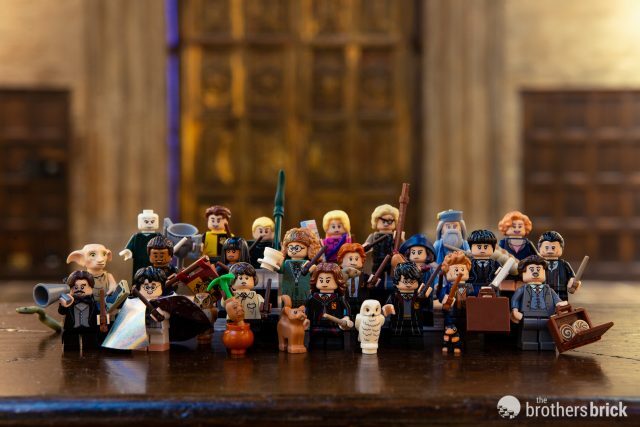 We can clearly see on the group picture that there are three heights of minifigs now : small, medium and high. Looks like another great series. 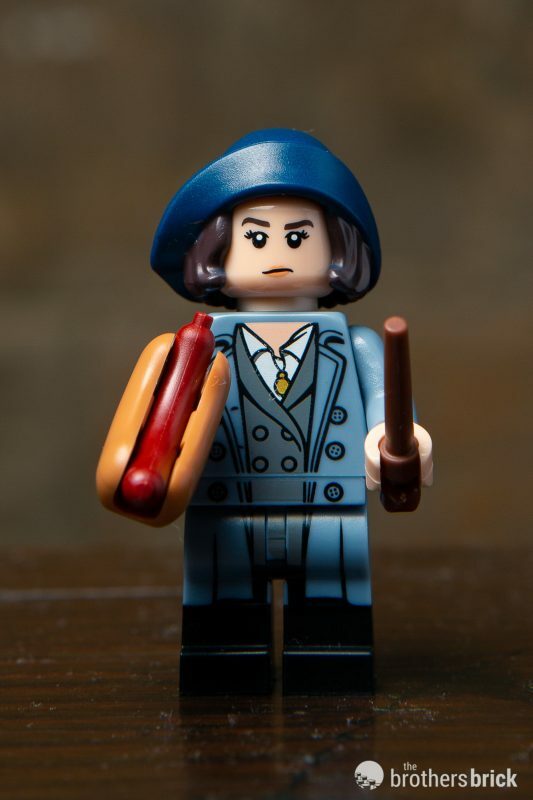 I am doubly glad we are getting some new minifigures for “Doctor Who and the Fantastic Beasts.” I mean all we had was Tina and Newt in dimensions. Now we can get Queenie and Joseph Kowalski too! 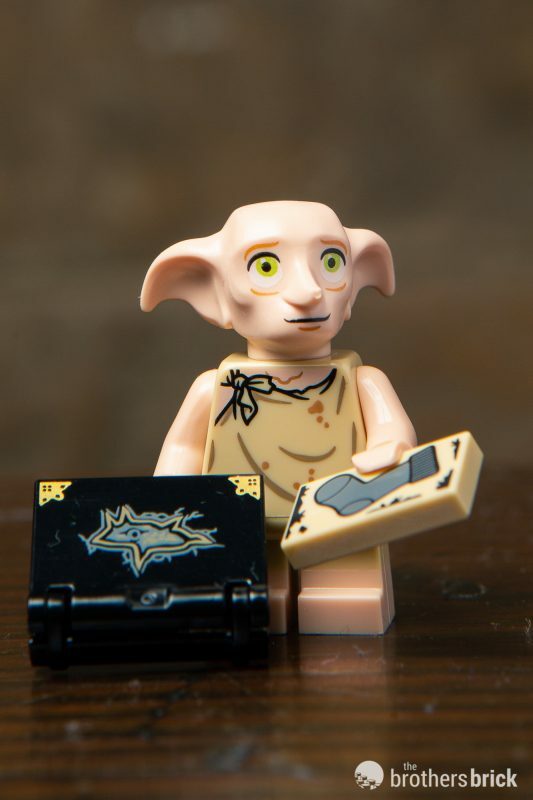 Dobby is, well, Dobby. His eyes look way better than the earlier versions. 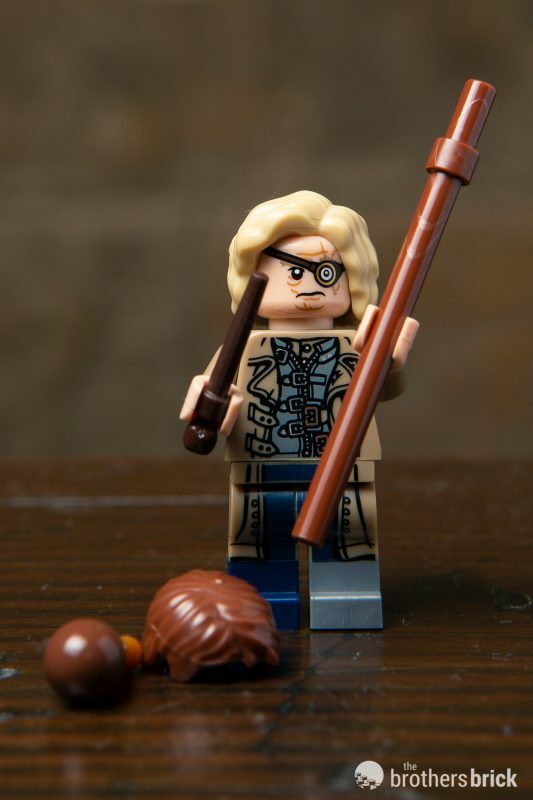 Mad-Eye Moody looks awesome. His flask looks to be new, and I like the Bartimaeus Crouch hair, too. Flitwick is as perfect as you can get. 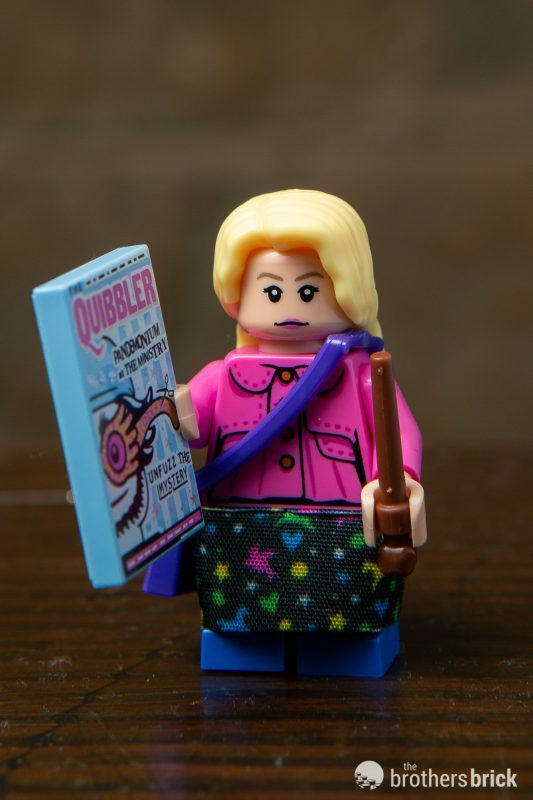 Trelawney has the largest eyes of any minifigure ever. Pajamas Harry seems like a missed opportunity for Tonks. 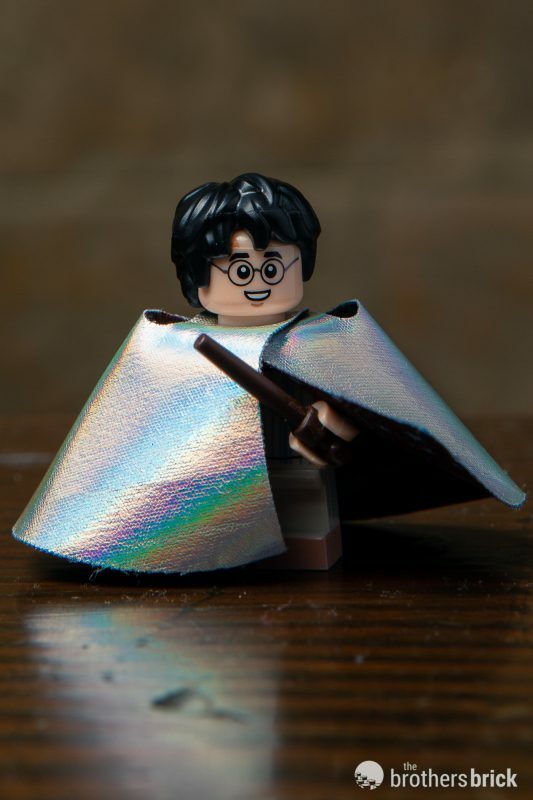 Like they couldn’t figure out what to put there so they just stuck a shiny cape on Harry. The school robe characters are great. 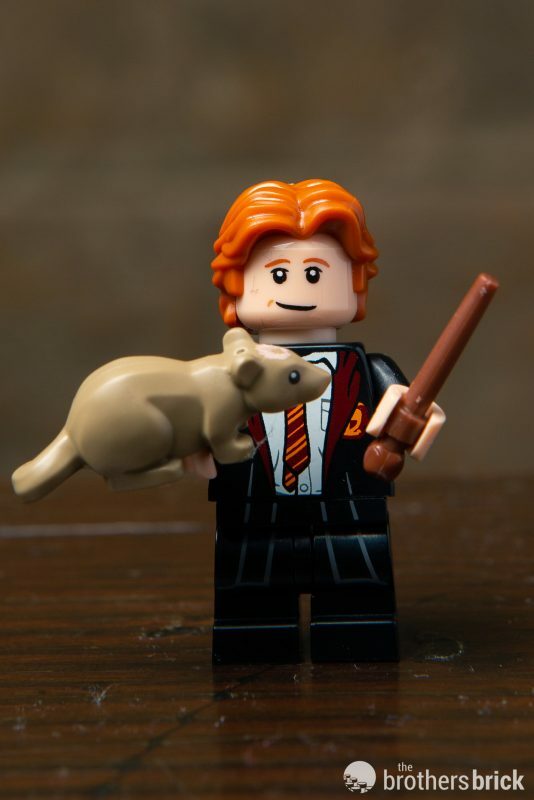 Ron is particularly accurate. 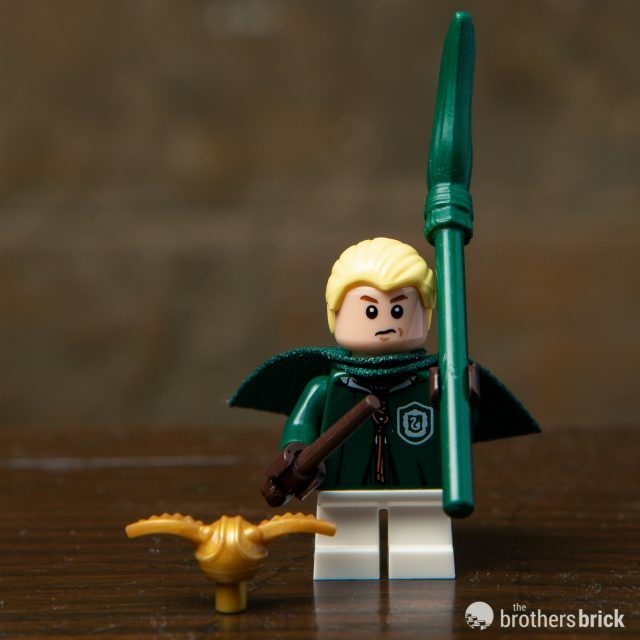 Quidditch Draco seems like a rather bland but useful figure, plus he’s got a Snitch. Dean is not in chaser robes. Newt looks great. 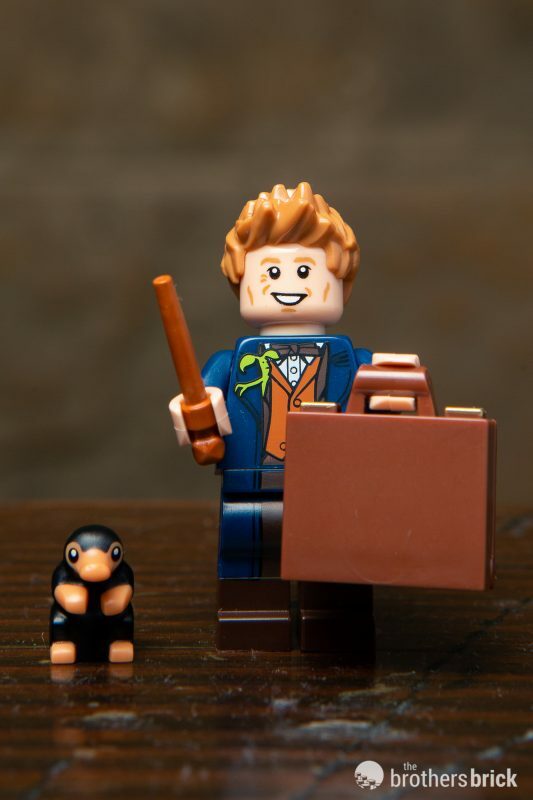 I wonder if his case can fit the Niffler? 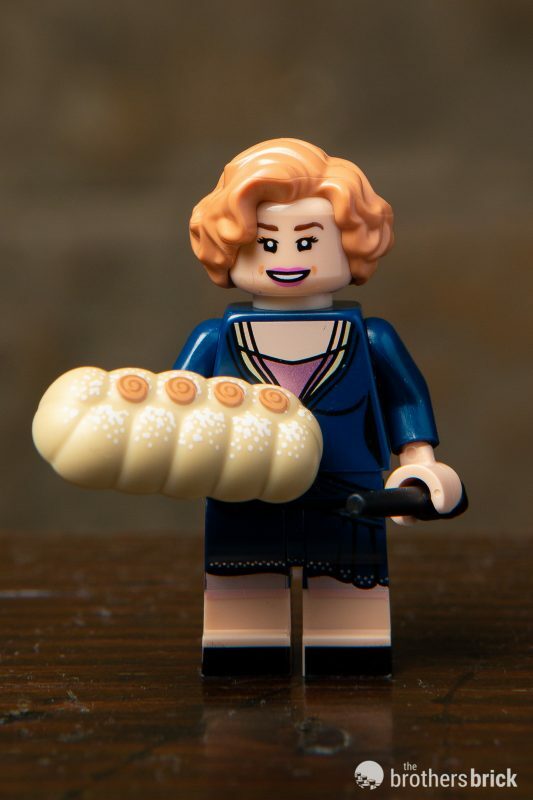 Queenie looks perfect, plus that is a nice strudel element. Mr. Graves’ face is just wrong. 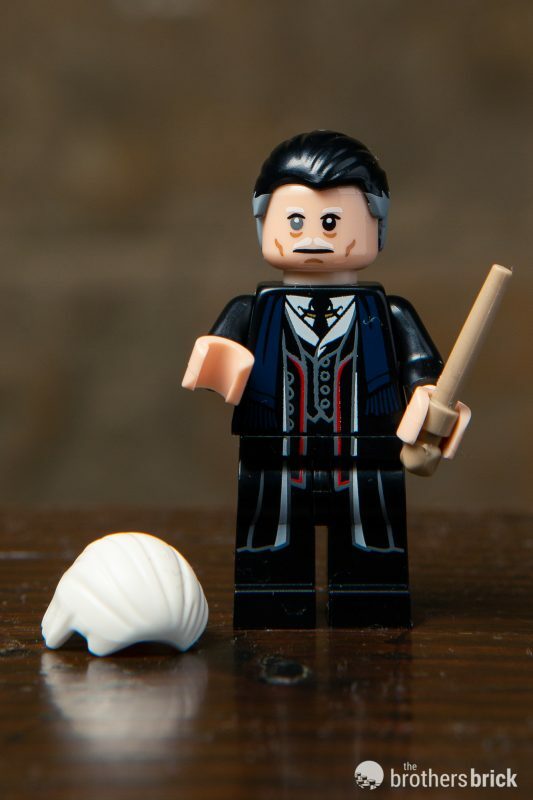 I hope it is two sided to allow him to be either Graves or Grindelwald. 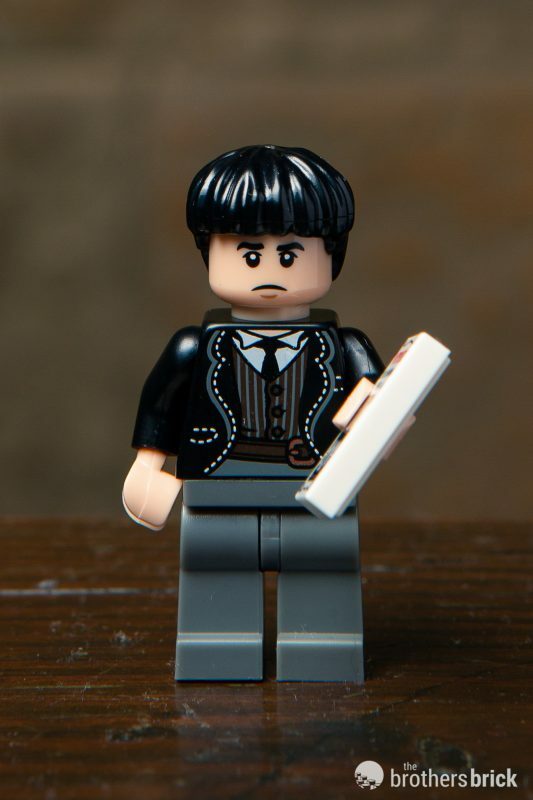 Credence’s face is also terrible, but the leaflet is nice. 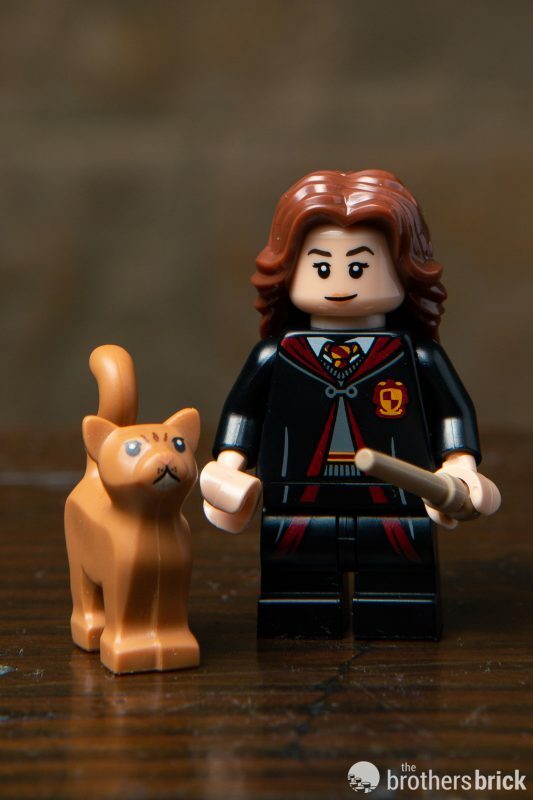 Random thoughts- are the wands going to come on sprues for these?